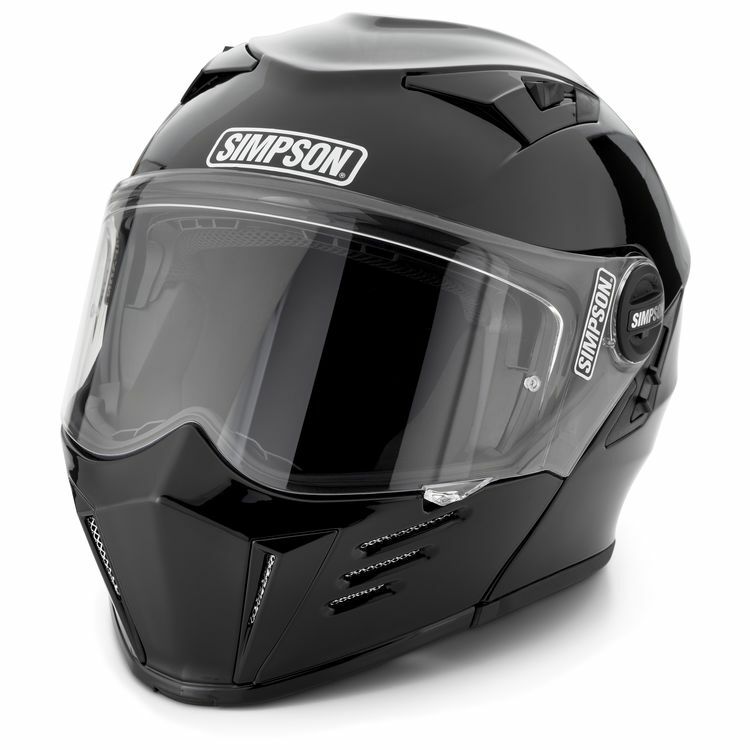 The Simpson Mod Bandit Helmet features many of the the same design cues of the the Ghost Bandit but with additional of a flip-up chin bar. The shell has been aerodynamically designed for riding and is fully ventilated for maximum airflow where you need it most. Integrated speaker and microphone pockets make it easy to install your favorite communication device and the built in drop-down sun visor is all you need to battle changing light conditions. Note: Helmet comes with clear face shield only. The looks on the mod bandit are 5 star. It looks badass. I like the Convenience of the modular option as well. The last good thing, it is noticeably lighter than my old bell star. Now for the bad. Talk about buffeting! Just to give you an idea I ride a 2014 street glide with 6.5” klokwerks shield and lowers. I get zero buffeting with my star. With the mod bandit I almost couldn’t see when I got up to 85. It was the worst buffeting I have ever experienced and my last bike was a sporty with no shield, then 1/4 fairing then 1/4 fairing with roaddawgz shield in order to minimize the buffeting. The bandit was so bad I was going to ride straight to cycle gear and see if I could return and get the store credit for new bell star. Well somehow the screen got scratched on my brief ride so there goes that. When I got home I also noticed the black portion also had a scratch! Had high hopes but Not a happy camper! 500 down the drain!